The number of commercial trucks involved in rear end collisions across the nation every year is staggering. Statistics by the FMCSA (Federal Motor Carrier Safety Administration) indicate that around 400,000 commercial trucks are involved in collisions each year, with nearly 70,000 of those accidents involving a rear end crash. In most incidences, the outcome to motorists and passengers is catastrophic, resulting in serious injuries and fatalities. A rear end collision may occur any time one vehicle crashes into the back of the vehicle directly ahead. Often times, these types of collisions will happen at stop signs, intersections, and railroad crossings when the vehicle ahead has come to a complete stop. However, rear end collisions can also happen while both vehicles are moving in the same direction. Rear end accident involving large commercial 18 wheeler trucks and cars can usually be categorized two specific ways. The first is where the truck runs into the back end of another car or truck, and the second is when another vehicle collides into its back end. The most common type of truck-involved rear end crashes results from the trucker’s inattention, distraction or negligence before rear-ending a small passenger vehicle ahead. The sheer disproportionate size of a large commercial truck rear-ending a small vehicle can lead to devastating results. Many fully loaded commercial trucks weigh in excess of 80,000 pounds. When the truck traveling at high speed hits the backend of a passenger vehicle weighing 3000 pounds or less, the disparity between vehicle sizes can lead the calamitous injury and death. Many states have laws which posit that when one vehicle strikes another from behind, the striking vehicle is at fault for the accident. This basic rule of the road encourages drivers to leave sufficient room to stop to avoid hitting the vehicle ahead. If you were injured in a truck accident in Rhode island or a loved one was killed as a result of a tractor trailer collision in RI then please contact a truck accident lawyer in Rhode Island. Truck drivers in Rhode Island have the duty to maintain safety while driving and must abide by the same rules as passenger vehicles traveling the roadway. Because of its size and weight, the trucker must account for a variety of factors that could cause the truck to hit an object or vehicle when carrying a heavy load, driving with faulty brakes, or under hazardous road conditions. 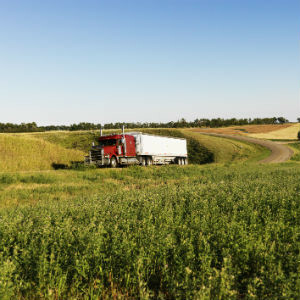 Negligence is often a leading factor that causes truck-related rear end collisions, especially those happening on divided highways, freeways and interstates. These types of roadways often have long stretches of pavement where the trucker can easily fall into relaxed vigilance while driving to their destination. Often times, the trucker is not as alert as necessary because of a lack of intersections, stoplights or hazardous driving conditions. Bored or tired truckers will have impaired cognitive function due to fatigue, long hours on the road, or lack of sleep. When this happens, the truck driver will likely experience a decreased capacity to respond quickly to any vehicle that has stopped or slowed unexpectedly. A personal injury law firm that specializes in Rhode Island commercial Big Rig truck rear end accidents help victims receive adequate compensation for their injuries, damages and losses. The lawyers build the case to recover their client’s medical bills, rehabilitation expenses, physical therapy and property damage along with compensation for pain and suffering. Is a Rhode Island Personal Injury Attorney required to pursue a death claim in Providence Superior Court as a result of a deadly car wreck or medical negligence claim?